She was born in İstanbul in 1988. After studying in behavioral science she started to work as a consular in a private kindergarten. She decided to work publishing area and continue her carrier as an editor of children’s book. 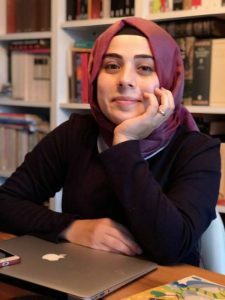 She is an editor in Taze Kitap and she continues to write in many kid magazines. She is the writer of Gezgin Eşek’in Oyun Atlası.